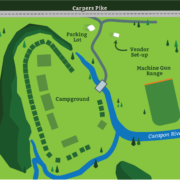 Have you heard “Cacapon” pronounced differently? Maybe you’ve even wondered how to say it. Truth is, over the centuries, the spelling and pronunciation of our river’s name have varied. 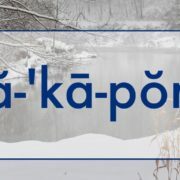 Though the consensus is that the word is derived from the Shawnee language, dozens of variations exist. To-be president George Washington, in his 1732 Journal of My Journey Over the Mountains, used the version “Cacapehon.” Other historical spellings are Capcappinn, Capecapon, Cackapohon, Cape Capon, and Capon. Thankfully the changes ended in 1916 when the Board of Geographic Names declared our version—Cacapon—the final one. What’s not as well known is there are multiple meanings of “Cacapon.” Medicine waters is the popular translation. More than 100 years ago, an early land surveyor of West Virginia wrote that the word is Shawnee and a descendant of the original spelling “Cape-Cape-Pe-Hon”— meaning, as he described, “Medicine Water River.” In 1906, this meaning was confirmed by another land surveyor who wrote that “Cacapon” meant “the medicine waters” in a Native American language. The lesser-known translations of our river’s name are “to appear,” “to rise to view,” and “to be found again.” These versions align with the fact that the Lost River, after it emerges from a one-mile underground flow, re-emerges as the Cacapon River. So in the end, as with most things, the historic spellings and translations of “Cacapon” are up for interpretation. With any one you choose, the Cacapon River is still a healing river that rises above others. 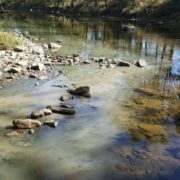 The Friends of the Cacapon River received a $5,000 grant from the West Virginia Department of Environmental Protection’s Stream Partners Program. The grant funding will be used to update, streamline, and distribute our most requested publication: theHomeowner Packet: A Guide for Families Living Along a Waterway, which was originally created in 1995. The updated version of this popular publication—renamed the Cacapon RiverStewardship Guide for Landowners—aims to empower the local community and landowners to become effective stewards of both the Cacapon River and the land they own. 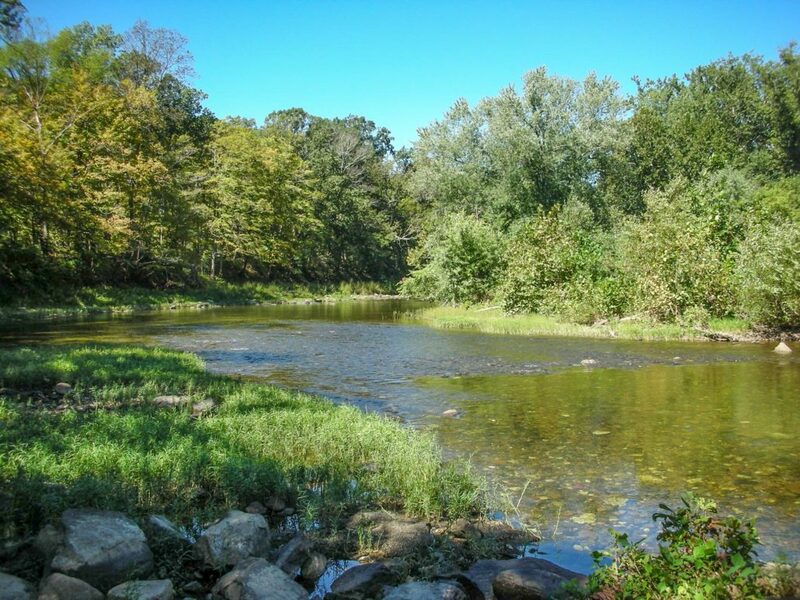 Available next year, the Stewardship Guide will provide essential information about the Cacapon River, including 12 specific actions that local landowners can take to have a direct impact on the health the Cacapon River. 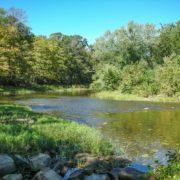 We hope that by empowering the community with this essential river stewardship knowledge, individual landowners will take the necessary steps to maintain and improve the health of the Cacapon River—which will ultimately have a lasting, beneficial impact on the river and increase stewardship of and appreciation for the clean, beautiful river on which we live and play. 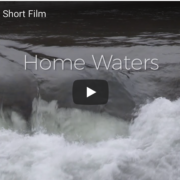 The West Virginia Department of Environmental Protection has produced a lovely short film about the hard-working watershed organizations in our state. Friends of the Cacapon River president Rachel D’Agostino was honored to be interviewed for the film to talk about her passion for the Cacapon River and its watershed. Please take a few minutes to hear about the dedicated watershed-protection organizations that work hard for the beautiful rivers of West Virginia. 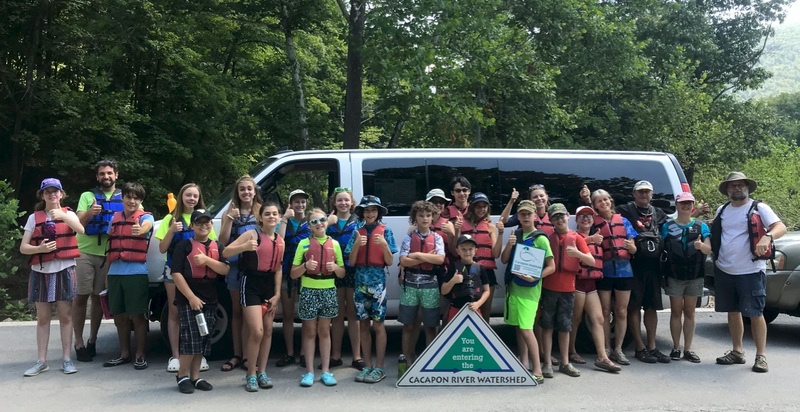 As part of our goal to help educate the local community—especially our local youth—about the importance of the Cacapon River and it’s watershed, the Friends of the Cacapon River sponsored a child from Morgan County for the Cacapon Institute’s excellent Stream Scholars Summer Camp. The Cacapon Institute’s Stream Scholars Summer Camp is a hands-on exploration of stream ecology and conservation for middle and high school students. 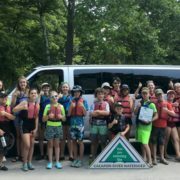 This year, the campers explored rivers in the Potomac Headwaters, traveled up the watershed to Spruce Knob, WV, and spent two nights camping and discovering the Chesapeake Bay’s highest peaks. They also enjoyed a sunshine-filled canoe float trip on the Cacapon River.